Our Commercial line of industrial grade maintenance, pole, and cable reel trailer systems set the standard by which all others are judged. 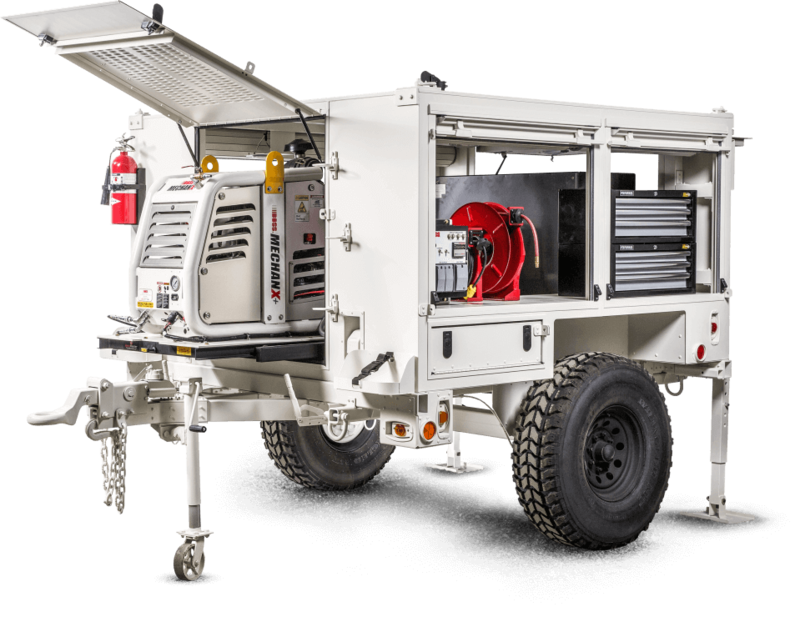 Schutt trailers are military grade tough and designed to maintain reliability under the harshest conditions imaginable. When you acquire a Schutt Industries trailer it will be a part of your organization for life. Simply put, nothing else even comes close to a Schutt Industries trailer. The variety of Cable Reel Trailer payload, reel diameter and reel width capacities offer extreme flexibility without compromise to quality or performance. Schutt Industries PT-Series pole trailers are the highest quality industrial trailers money can buy.